The Spiral Steppers ‘Time to Accept’ Show is tonight!! 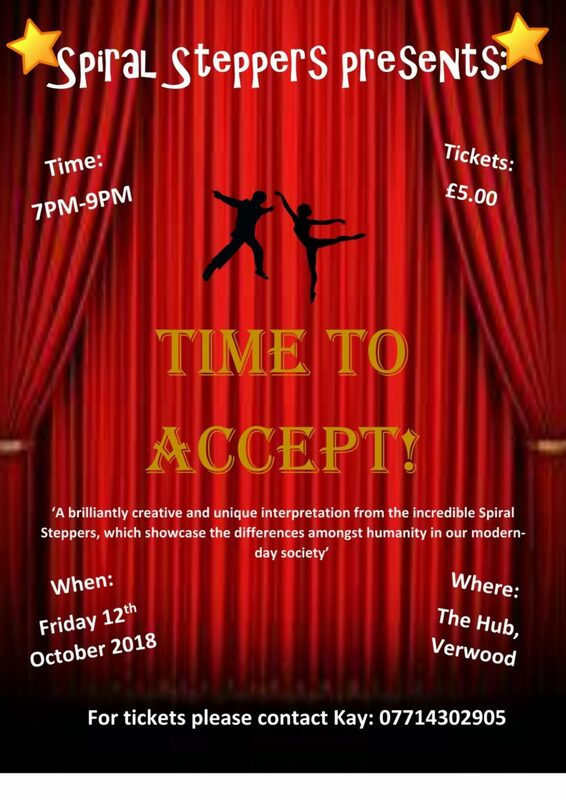 (Friday 12th October 2018) at ‘The Hub’ in Verwood. Don’t miss out, it’s going to be EPIC! !